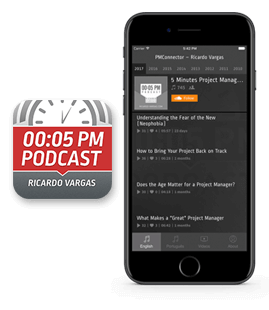 In this episode, Ricardo addresses the current challenge of planning and executing projects in chaotic environments. He uses some of the concepts presented by Nassim Taleb in the book Antifragile to give you five tips to use in your projects today: developing options, proactivity and paranoia, flexibility, having your skin in the game, and getting energy out of failures. In this episode, Ricardo discusses the characteristics, advantages and disadvantages of more detailed planning versus more generic and agile planning. It also presents the 3 criteria that it usually uses to define how well it generalizes and how detailed it is. In this episode, Ricardo talks about two additional dimensions in risk assessment, going beyond traditional probability and impact. He gives examples of how the assessment of the urgency and the tendency of a risk can increase the quality of the risk mapping. In this episode, Ricardo shares his impressions on TED2018, an event held in April this year Vancouver, Canada. He talks about what struck him in each talk presented during the four-day event.